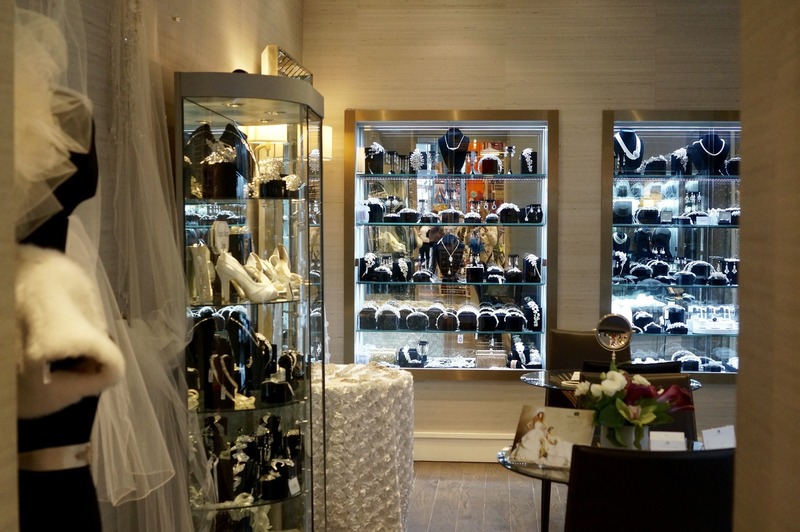 Living in New York City, I come across a lot of unique shops you won’t find anywhere else. MJ Trimmings is one of those one-of-a-kind shops I’d randomly came across while walking down 6th Avenue, as the vivid window displays drew me. Only later with a little googling did I learn that MJ Trimmings has a long history in New York City, its first iteration dating back to 1936, growing into one of the largest trimming distributors in the United States. What exactly are “trimmings”? 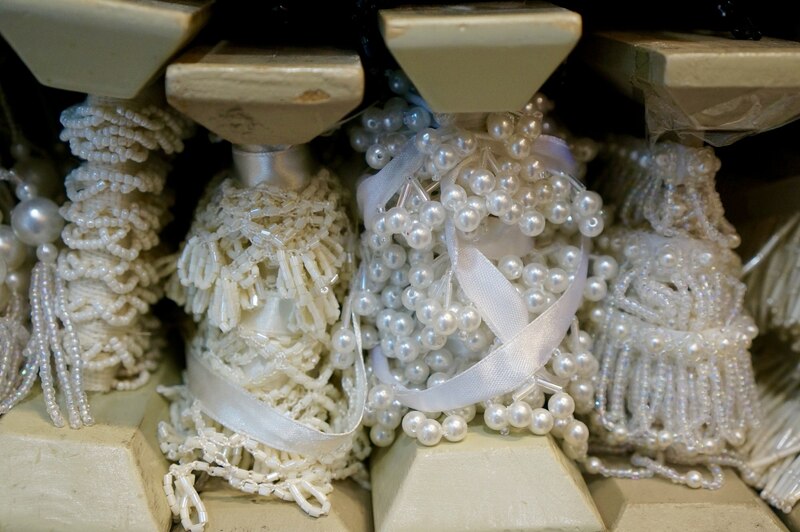 Think of it as all of the fun stuff for your project– lace, ribbons, braids, buttons, appliques, pom poms, spikes and studs, feathers, flowers, buckles, tassels, sequins and rhinestones. If you can dream of it chances are good they have it here. 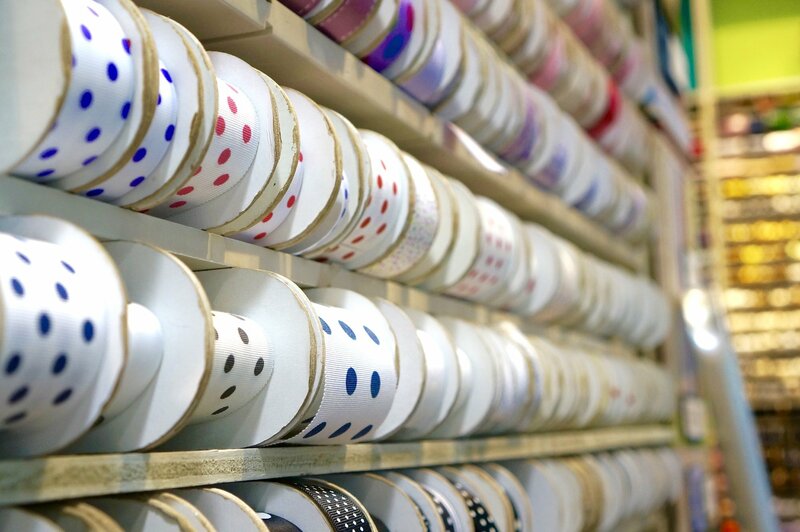 Even if you aren’t into crafts the store is a visionary delight to walk through (those spools of ribbon!). I came out with some pretty ribbons (how could I not) that I use to top off my souvenir gift packages. 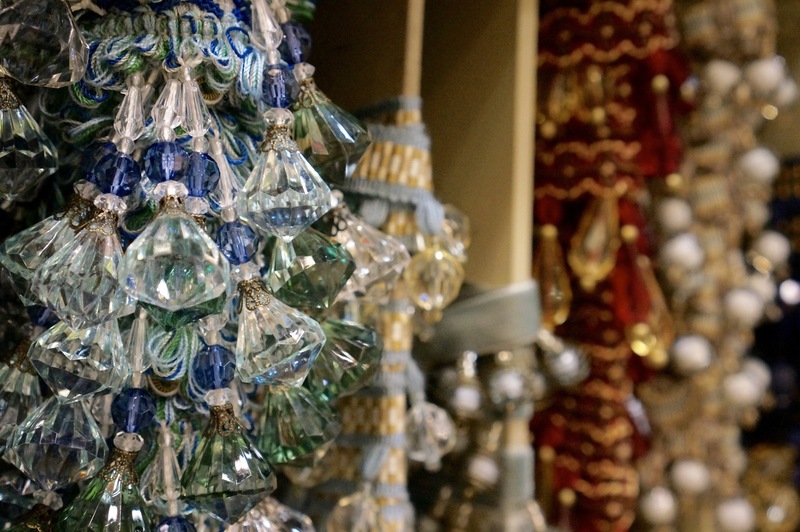 The glass storefront filled with colorful trimmings will beckon you in. Floor to ceiling displays of trimming of every kind are mesmerizing. 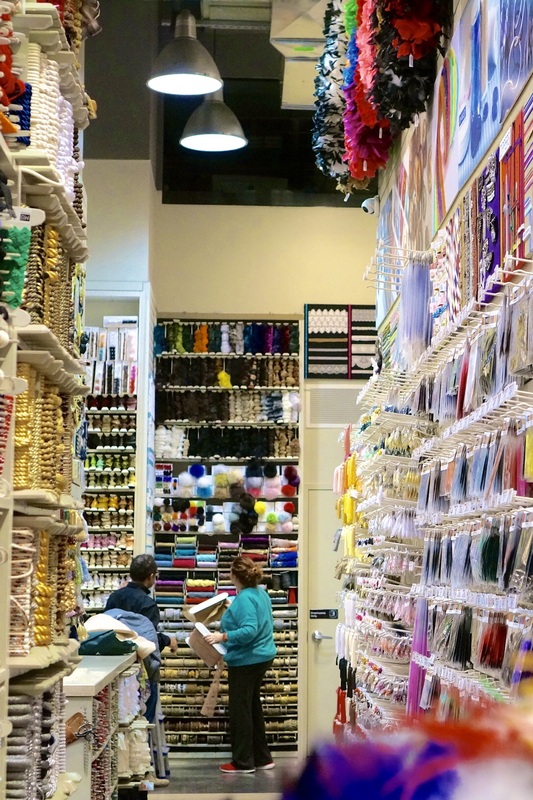 MJ Trimmings is like a candy store for craft fanatics. Faux flower trimmings in every kind of flower and size. Braided trim with a metallic sheen. In case you were wondering where the spikes are. Yes we love New York too. Fluffy pom poms to accessorize pretty much anything. 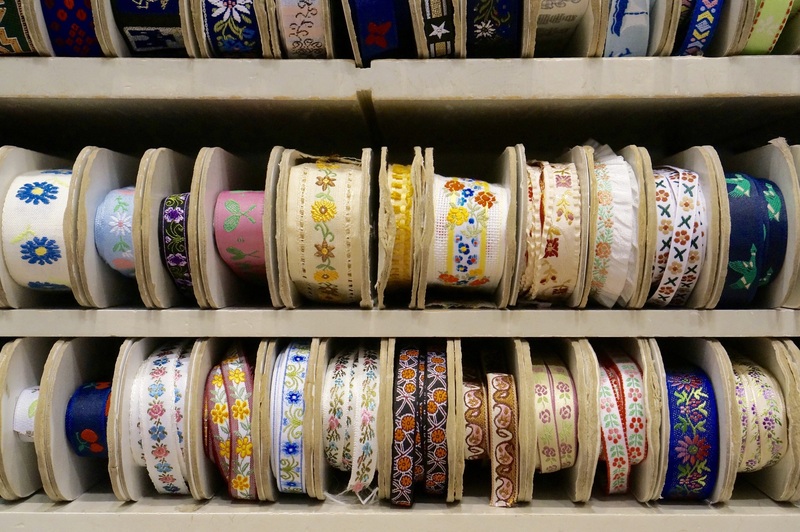 I have no real need for ribbons but I was fascinated by the gorgeous embroidered designs. The base and all the trimmings for DIY fascinators. An area in the back specialized in trimmings for weddings. Find MJ Trimmings at 1008 Sixth Avenue (Between 37th & 38th St). 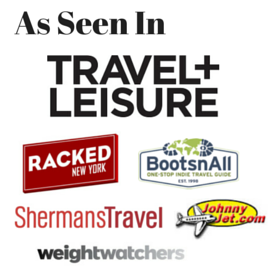 Open 7 days a week, check their website for specifics. 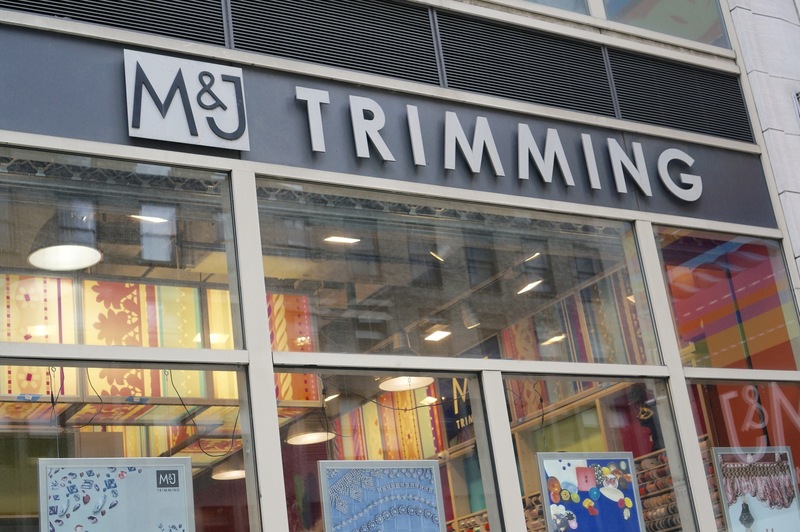 Have you been to MJ Trimmings or other trimming shops in New York? 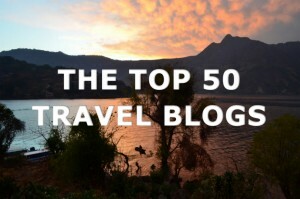 Tell us about your favorites!